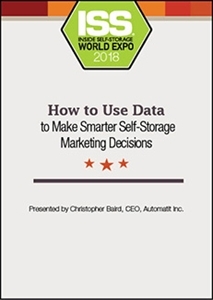 Speaker: Christopher Baird, CEO, Automatit Inc.
Data is the power of Internet marketing. It tells us what’s working and what’s not, and it guides our next strategies. It helps us answer questions such as, are visitors leaving our website too quickly? Are social media efforts worthwhile? Professional marketers collect and mine relevant data points, adjust marketing and validate their efforts through experimentation. Learn how you can, too.